We mourn the loss of Dennis M. Ritchie, who died this past week at his home in New Providence, NJ. Much has already been written about the importance of Dennis’s great accomplishments and contributions to computer science; we think this summary of his life in the New York Times is particularly well done. While many people have commented on Dennis Ritchie’s role in the creation of C and Unix, his closest colleagues appreciated his other qualities as well. In these two pages from Beyond Photography: The Digital Darkroom, (Gerard Holzmann, 1988, with permission of the author), you see a wonderful photo of Dennis taken in the mid 1980s. He was quite willing to have his image digitally altered into an oil painting, more than a decade before such digital effects became popular. In the text you can also read that among his colleagues, he was “equally as famous” for his inventive Halloween costumes as he was for his programming and design expertise. (The rest of Beyond Photography can be found here.) 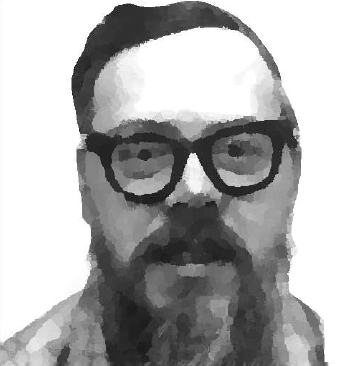 Like Dennis, his father, Alistair Ritchie, was also a researcher at Bell Labs and co-authored a well respected technical book, The Design of Switching Circuits (1959, Van Nostrand Reinhold). Dennis also reviewed early drafts of several other influential computer books. While manuscript reviewers typically focus on what needs to be added to a manuscript, Dennis consistently asked what might be deleted in order to make the book simpler and more understandable. His ability to find and fix ‘bugs’ or technical errors in books was also unmatched. Dennis spent his entire working life at Bell Labs in Murray Hill, NJ, and it is absolutely remarkable how many brilliant programmers and scientists shared a single hallway in the labyrinth of offices and research labs that comprise Bell Labs. One of Dennis’s colleagues, Gerard Holzmann, created this map. As you look at this map, you see that C and Unix, as well as many of the core technologies used in today’s programming languages, operating systems, compilers, graphics engines, and communications technologies, were created here. Many of the most influential computer science texts and references were also written by people working here (The C Programming Language; The Practice of Programming; Programming Pearls; Compilers: Principles, Techniques, and Tools; The Unix Programming Environment, etc.). 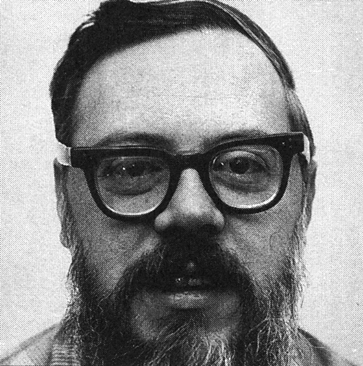 It is noteworthy that only one researcher occupied the same office for that explosive period of computer research—Dennis Ritchie. Many of his colleagues have shared how conversations with Dennis shaped and influence their own research. Dennis is missed. His contributions, impact, humility, and kindness will not be forgotten.